Hôtel Le Sénéchal is located in the heart of Ars-en-Ré, next to Ars-en-Ré Port and 2 km from Combe À L'eau Beach. 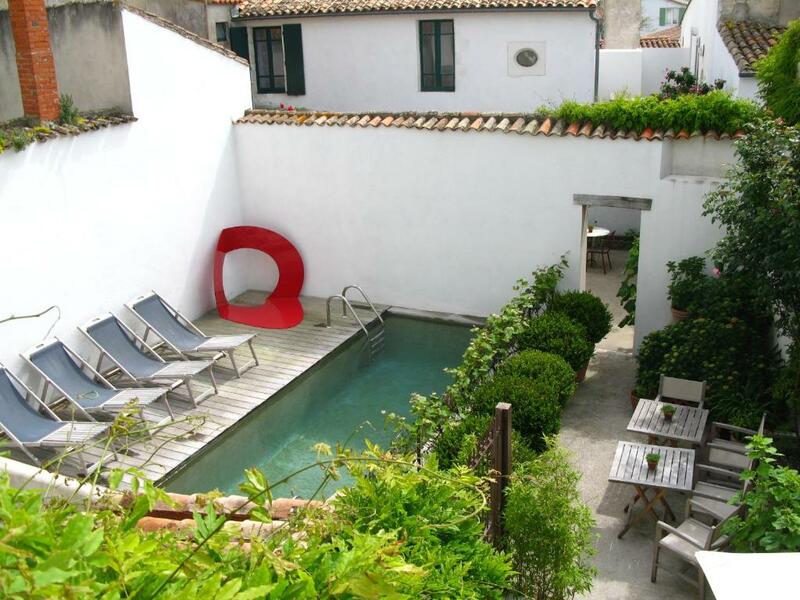 This hotel features a flowery furnished terrace and garden with a small heated outdoor pool. Guests can also relax in the property's shared lounge which features a fireplace. All rooms are elegantly and individually decorated as well as equipped with a flat-screen TV. They all come with a private bathroom, fitted for your comfort with free toiletries and a hair dryer. Breakfast is served every morning Guests can find various restaurants nearby. The nearest airport is La Rochelle - Ile de Re Airport, 25 km from the property. Free parking is available nearby.